Leadership 3A offers 3 tools to deal with all situations. Now, managers have their own flight simulator! An opportunity for renewing its focus instead of only reacting. LEADERSHIP 3A : YOU'VE COME TO THE RIGHT PLACE! You heard about Leadership 3A or Authority 3A? Look no further, you have found the original! Pierre-Marc Meunier created it. And with Consul-Source, he is surrounded by experienced trainers and coaches who will help you make the difference in the challenges you face. LE BON MOMENT - L'ART D'AGIR DE FAÇON JUSTE AU MEILLEUR MOMENT. 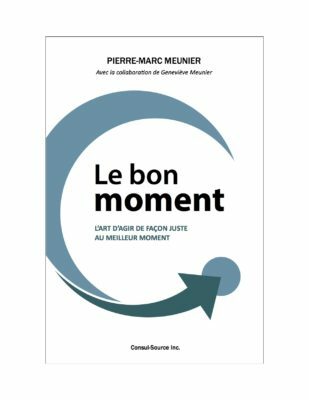 In his 14th publication, Pierre-Marc Meunier presents a brand new style of Management: The Art of Creating Moments! Take a look! 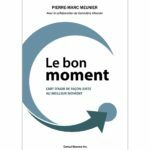 (Français) * LE LANCEMENT : UN RÉEL BON MOMENT! (Français) * ON PARLE DÉJÀ DE NOTRE LIVRE DANS LE MONDE L’AUTO!